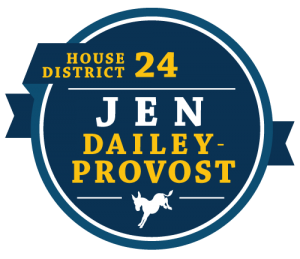 I am sincerely honored to serve the community of Utah’s House District 24 – thank you! 2018 was a landmark year for electing more women to Utah’s legislature and we have a lot of work to do in 2019. The general session begins on January 28 and ends on March 14. As has been the trend for the last several years, we expect to see hundreds of bills introduced. I am excited to work on policy issues including our state’s opioid crisis, the rising cost of living that puts many Utahns’ housing stability at risk, patient safety, and more. My committee assignments are Health and Human Services and Government Operations; my appropriations committee assignment is Social Services, which has a budget of nearly $6 billion and funds the Utah Department of Health, the Utah Department of Human Services, and the Utah Department of Workforce Services. It is a very complex budget and is the second largest budget in the state of Utah after education. I sincerely look forward to diving into this very important work. If you would like to follow the work we are doing at the legislature, you can follow my blog at Utah24.blogspot.com or sign up to receive my newsletter.